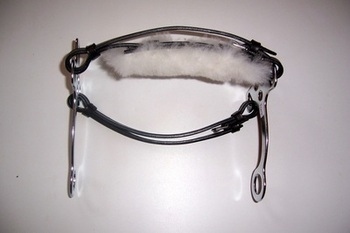 English Hackamore which is fully adjustable both front and back strap.Chrome plated cheeks and a plain leather back strap. Only available in one size. Black to order.